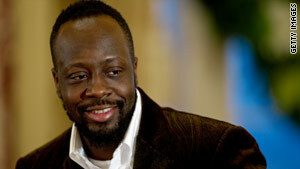 A source tells CNN that Wyclef Jean will announce his presidential run in Haiti on "Larry King Live" on Thursday. (CNN) -- Wyclef Jean will announce exclusively on CNN's "Larry King Live" Thursday night that he intends to run for president of Haiti, a source close to the Haitian recording artist said Tuesday. Jean has been an outspoken proponent of Haiti through his Yele Foundation and was one of the first celebrities to offer aid after the devastating earthquake there in January. He told CNN late last month that he has filled out the necessary paperwork to make a run at the country's highest office. Jean, who was born in Haiti, shot to fame in the mid-1990s as a member of The Fugees, a U.S.-based hip-hop and reggae group. He performs now as a solo artist.